The government is looking to permanently switch off analogue radio broadcasts, switching over to digital transmissions, specifically DAB (Digital Audio Broadcasts). This is much like the big switch over for TV’s from Analogue to Digital (Freeview). The official statistics show that just 10% of car drivers listen to DAB, compared to 50% who listen to DAB at home, this has been interpreted to mean that 90% of cars on the road do not have DAB radio capabilities. If the government go ahead with the switching of transmissions from analogue to digital the odds are very good that you will no longer have a radio in your car. This means you’ll have to almost exclusively listen to CD/Tape/MP3 or shell out for a new stereo / head unit. The latter option won’t be available for many motorists, for example the last 3 cars I drove including the current Honda Civic and Audi A4 the head unit is built into the dashboard along with the infotainment and the head-up displays. Adding DAB is simply impossible without manufacturers stepping in to provide an upgradable central unit. Currently a replacement central unit for the Honda is around £2,000, you can only imagine how much a DAB Upgrade would cost. Matt Hancock who is the governments Minister of State for Digital, is urging manufacturers to make DAB the standard for ALL new cars, but kind of neglects the 27,000,000 (27 MILLION) motorists who don’t have digital. I have tried to find some information on TA/TIM/TP, but its not clear if they will switched off along with the analogue transmissions. These work by embedding a small amount of digital data within the FM frequency range, which would indicate that when the FM Transmissions are retired Traffic Announcements along with TIM/AP, will all stop working. Its also not clear if all frequencies FM/AM/MW/LW will all be switched all at the same time, or slowly phased out or the exact plan of action. I suspect more will come out over the coming year, if TV is anything to go buy it took about 2-3 yrs for it come to fruition. Given cars are anticipated to be replaced every 3-5 years, I would guess a similar time frame would be suggested. It has been suggested this plan could be put in action as soon as next year, depending on how quickly the government push ahead. I think a notification would come in the next year then a transition period, so I think 2020-2022 are most likely deadline. 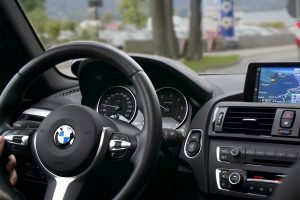 The take home here is that, if you’re looking for a new or nearly new or pre-owned, I would seriously factor in, if the infotainment system is digital incorporating DAB Radio. The good news is many modern systems are using mobile data and mobile wireless (MiFi) which means they download traffic data, mapping and even stream audio from the internet. There is also the option of using a DAB Converter Kit (right), which plug in via AUX, Bluetooth or even Local FM Transmission. This works in the same way that Handsfree Converters work. 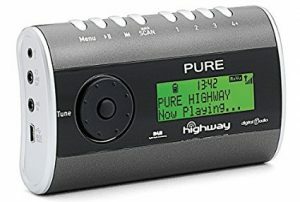 A little research showed that there are Hands Free Phone DAB Radio kits, Speed Camera DAB Radio Kits and various other multi-function DAB Radio Conversion Kits. Maybe now is the time to go Hands Free Phone, iPod Connectivity, Spotify and DAB in one fell swoop, this Alpine DAB Kit will fit the bill. Alpine EZI-DAB Hands Free, Spotify, DAB Radio. AutoDAB Hands Free, Digital Radio. Cootway DAB, SD Card Player, Bluetooth Hands Free. Yinuo 5-in-1, DAB Radio, SD Card Player, Bluetooth Hands Free, Fast Charger, FM Transmitter.